Château Palmer 2014 is composed of a blend of three grape varieties: 49% Cabernet Sauvignon, 35% Merlot and 6% Petit Verdot. This 2014 vintage is a very special one, as it marks a year without sulphites. This method, although more restrictive, allows the grapes to express their aromatic complexity more easily. 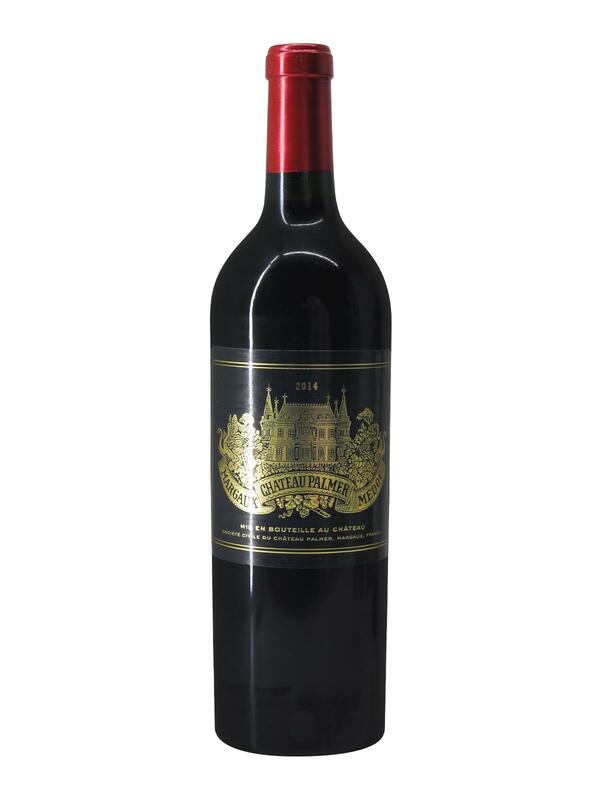 With a beautiful dark purple robe, Château Palmer 2014 offers an amazing freshness as well as a great delicacy. Very precise on the nose and on the palate, this 2014 of Palmer distils aromas of blackberries dominated by blackberries, complemented by blackcurrant and plum, as well as a fine, more woody note. The attack is as precise and fruity as the nose, but more dynamic and elegant thanks to finely worked, soft and nuanced tannins. Round and soft, this Palmer 2014 is a caress for the senses. A Grand Palmer, high class! Château Palmer uses grapes grown in biodynamic conditions.